The Patriots finally put together a 60 minute effort in Week 7 of the 2017 NFL season. Patriots fans have been seriously concerned after numerous close wins and brutal performances but this win was well worth the wait. It was a total team effort. They played great in all three phases; a classic Patriot victory and the most satisfying yet this season. The Patriots found a winning formula and it was simply getting back to the basics. They didn't confuse the Atlanta Falcons or do anything fancy but played a smash mouth style of football. 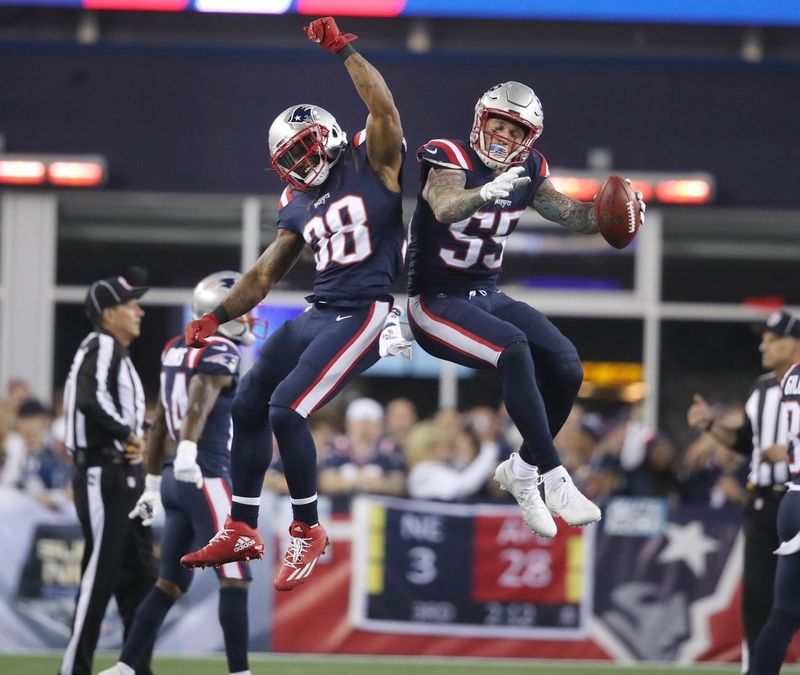 It was a physical game from the opening kick as both teams attempted to assert their dominance over the other but the Patriots were resoundingly better in the trenches. The most obvious part of their offensive game plan was pounding the ball against the Falcons front 7. With the offensive line struggles, it seemed prudent to keep the pressure off Tom Brady and his body by installing a balanced attack. The Patriots ran the ball 36 times for 162 yards while passing only 29 times. Brady was sacked twice in the first half but was kept clean for the entire second half as they consistently ran the ball on every drive. Josh McDaniels stuck with the run even when some drives flamed out from the ground game. They were not going to be denied. The four pronged running attack of James White, Dion Lewis, Rex Burkhead and Mike Gilislee all got at least 4 carries and Lewis finished with the most at 13. This rotation kept them all fresh and they ran as hard on the last drive as they did on the first drive. Lewis has clearly established himself as the top first down back with his stellar play the last two weeks but Bill Belichick will go with the guy that's running the hardest. The friendly competition for carries between these four guys will be important in keeping the running game consistent going forward. Not only did the Patriots win the battle up front on offense, the defensive front was effective stopping the run for Atlanta. The Falcons offense is predicated on developing a run game early which will open up their multitude of weapons down the field. The running stats for the Falcons would indicate they had offensive success but that was clearly not the case. The Pats were keyed in on backs Devonta Freeman and Tevin Coleman early and often, putting the Flacons in second or third and long scenarios. Even when the Falcons got some yardage and were in third and short situations, the Patriots secondary was superb. This was a full team effort from the defense who kept it simple and executed to perfection. Lastly, the special teams unit was everything Belichick could have dreamed of and more. Belichick rarely ever shows emotion during the game but after Cassius Marsh's field goal block, he was visibly pumped. It was a massive play in a close game and shifted the momentum completely towards the Patriots. A second missed field goal which was almost blocked and winning the field position battle contributed to the best performance by the special teams unit all season. To those haters complaining about Steven Gostkowski, shut up because he has been automatic this year and the high profile extra point misses are well behind him. Football is a difficult game with endless strategy but Belichick broke this game into the simple segments. His squad had struggled with consistency, defense and blocking but all looked like strengths against a talented Falcons roster. They simply wanted to win the battle up front, establish an effective run game and dominate the special teams game. This was reminiscent of a win in the early Brady days who didn't need to throw the ball 50 times to be successful. Brady's body isn't going to hold up long term with the offensive line struggles. While they have been much improved the last two weeks, it is prudent to have an effective running game which can win football games in January and beyond. The run blocking stats are in the top half of the league and create a much more deadly play action passing attack. Brady will still be given opportunities to throw 50 times when the matchup dictates that game plan. This Super Bowl rematch was important to indicate that Brady slinging the ball around the field isn't the only way this team can win. The defense stopped the run. The secondary executed their assignments. The running game was impressive, even explosive. This team showed some heart by sticking with he basics and now the Patriots are once again a force in the league. If you asked anyone on the team they would say they never left the top but now the rest of the league is watching the play of the defending champs who now proved they have a blueprint and can win in a multitude of ways. Follow me on twitter @jakescearbo to discuss that huge win over the Falcons and where the Patriots can still improve. 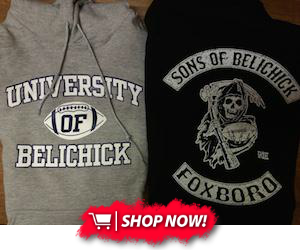 Check out my website at jakescearbo.com to read more pieces on the Patriots written by me!